Heathrow T4 Team reach new heights! 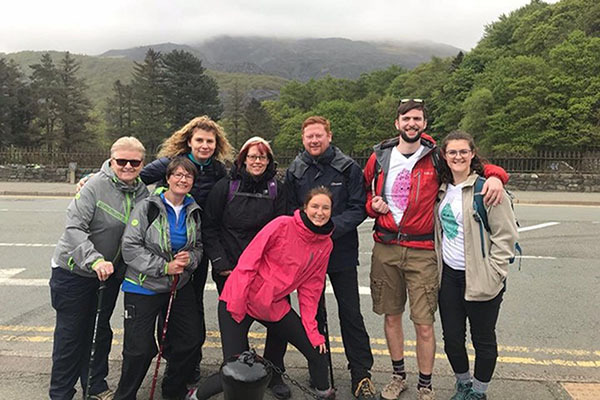 An amazing team of 70 brave individuals from Heathrow Terminal 4 took on the epic challenge of climbing Mount Snowdon. 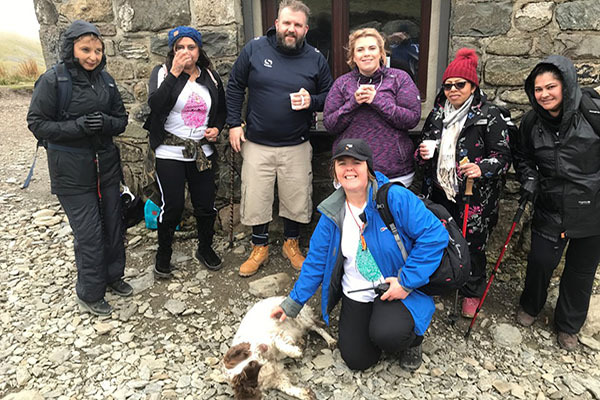 The team took on the challenge to raise money for Shooting Star Chase, after one of their colleagues was supported by the charity’s Hampton hospice, Shooting Star House. 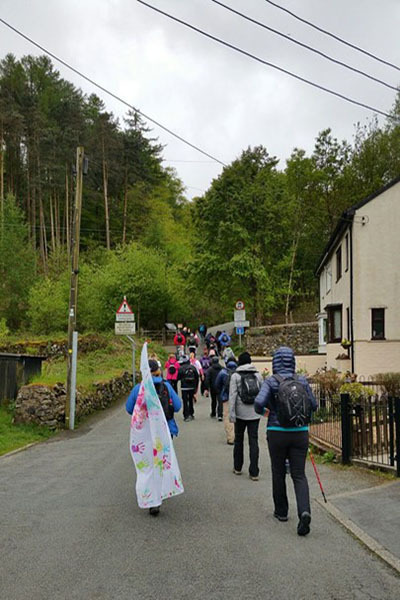 Leaving London on Tuesday 22 May, the courageous team headed to Llanberis at the foot of Mount Snowdon, and, along with all their kit they had something extra special they wanted to bring with them all the way to the top of the mountain – a banner created by children at Shooting Star House. 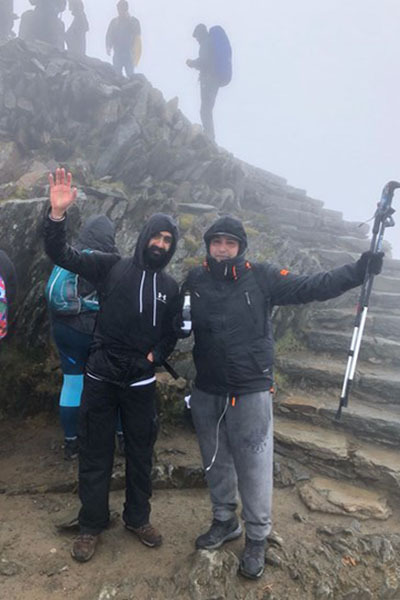 Wednesday was the day of the climb and the ascent wasn’t the only thing they had to battle, enduring 65mph winds all the way up made climbing conditions extremely difficult! 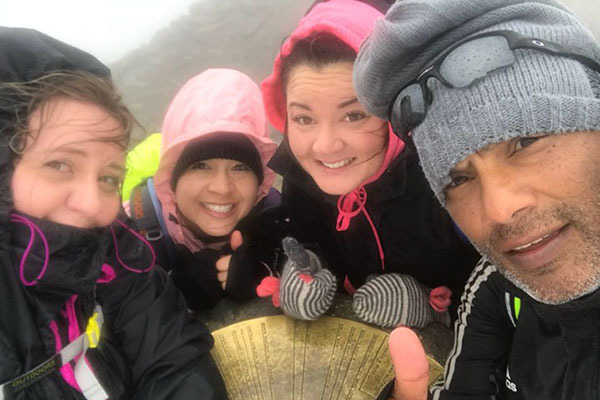 The team bravely battled on however with the vast majority of the team making it to the summit! 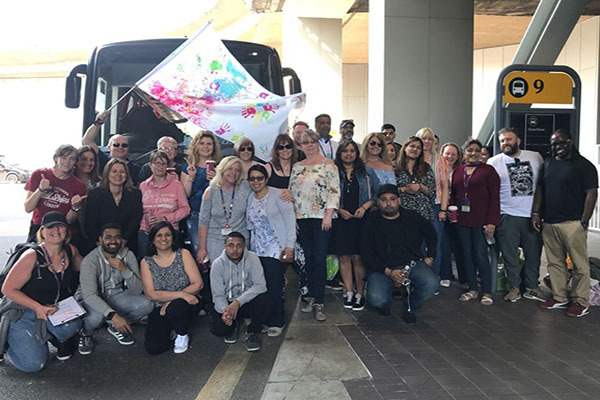 At Heathrow, their fellow colleagues were continuing the triumphant support and raising money by organising a ‘pledge a pound’ video appeal. After safely making it back to solid ground, the team enjoyed a celebratory dinner and well deserved drinks, whilst planning their next adventure! 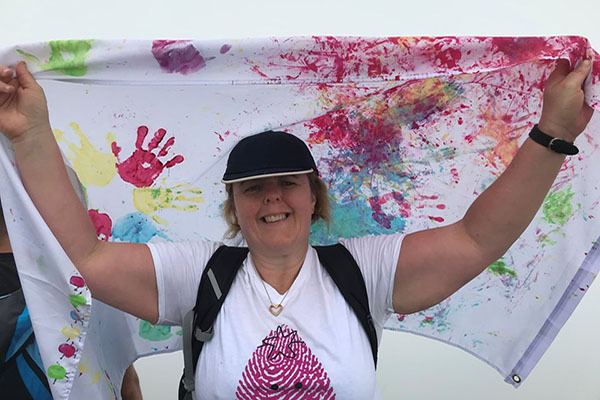 When all of the donations are included, its expected their challenge will raise over £10,000. If you wish, you can still donate to their appeal here. If you’d like to hear more about our Corporate Partners or how to become one click here!